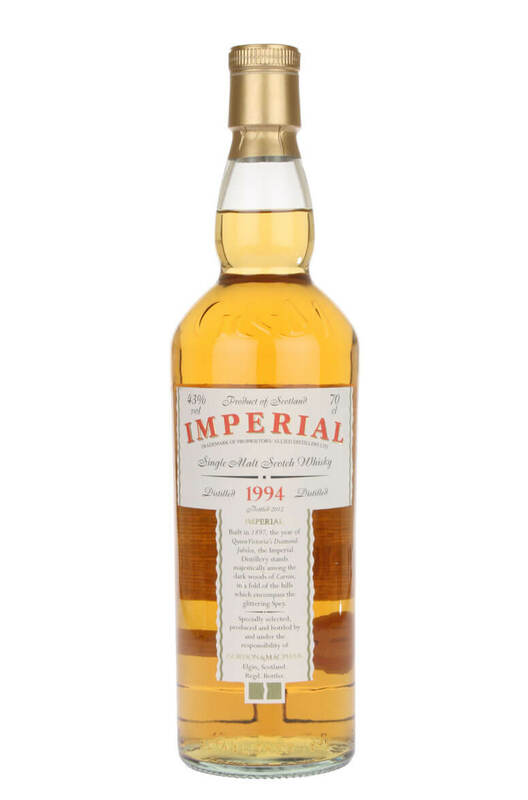 A rare bottling of Imperial single malt, bottled by independent superstars Gordon and Macphail. Imperial has sadly been demolished, so this represents great value for money for a silent distillery. Matured in first fill sherry butts and refill American hogshead casks. Types of Barrel used for Aging First fill sherry butts and refill American hogsheads. Matured in 1st fill Bourbon barrels and refill hogsheads. This has some delicate sweetness along wit..
Glenburgie is seldom seen as a single malt and mostly found in the hands of private bottlers such..
Matured in refill sherry casks, this is a fantastic semi-official bottling of Linkwood from privatee..
A mature and very tasty example from one of Speyside's seldom seen distilleries. This is a semi-.. Entirely matured in first sherry casks giving rich, sweet and spicy flavours. Almost like an old rum..
A great private bottling of Longmorn from Gordon and Macphail. This is packed with fresh fruit fl..